In my last blog post, I talk about what you should know about your competitors and the importance of keywords and how I managed to start ranking my website for a local service that I am providing. If you read the post, it says how I made certain changes to rank my website for Singapore Virtual Office Address. Today, let’s discuss how ranking for area specific terms can be a big boost to your business. Many people don’t think local SEO makes a big difference, but this isn’t the case. So how do you get ranked for local terms? Here are four simple ways to improve local SEO. This is the most important factor in getting ranked. You should put the keyword at the beginning of your title, as well as in the content a few times. This lets Google know what the page is about. Therefore, it will make it more likely you will get ranked. When you do get links to your site, make sure the anchor text (the actual link text) includes your main keyword phrase. Google looks closely at the anchor text to let them know what the site being linked to is about. So if you have one hundred links pointing to your site, and seventy of them say “Houston Legal Service”, they will be able to surmise what your page is about. However, you don’t want to have every single link to say the same thing. Google likes natural link building. So if 100% of the links say “Houston Legal Service, they will view this as unnatural, and this may affect you in a negative way. Every link is not created equal. Google puts more weight on the links from quality sites a lot more. 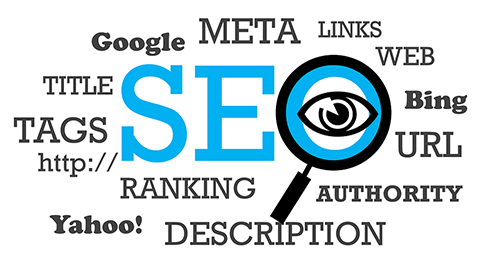 Therefore, be sure to target legitimate sites for your link building efforts. Read my blog post on how you can actually build quality link from authority sites here. This is not a new strategy, and it’s been around for a long time. However, many internet marketers aren’t familiar with it. Basically, geo-tagging is where you put metadata in your HTML code. This lets the search engine spiders know where your site is located. You can do the same for pictures you put on your site. This will help you rank for localized searches. The metadata includes your latitude and longitude coordinates, and sometimes other variables like altitude. If somebody is doing a search with geotagging enabled, your site might show up. While geo-tagging does work, you can definitely rank without doing it. However, there’s no reason not to use it, as it definitely couldn’t hurt. The bottom line is, getting ranked for local SEO terms is a great way to get more business. Implement these four ways and you should see results from your SEO efforts shortly.